Community of Joy Lutheran Church will mark the season of Lent with additional midweek services beginning with Ash Wednesday on March 6th. The Ash Wednesday service will begin at 5:00 p.m. and will include the imposition of ashes and Holy Communion. Ashes are an age-old sign of sorrow and mourning, humility and our own mortality. The weekly services for the rest of the Lenten season will begin with a soup supper at 5:00 p.m. followed by the Lenten service. The theme for this year’s Lenten journey is “Perfect Love Casts out Fear”. As we draw closer to Easter, we will celebrate Palm Sunday with special additions to our services as we go into Holy Week. Maundy Thursday’s service will be at 5:00 p.m. and will include Holy Communion and the stripping of the altar. Good Friday’s Tenebrae Service will also begin at 5:00 p.m. 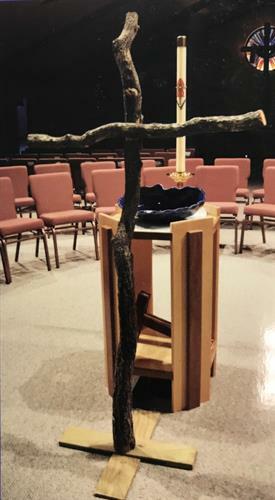 The Easter Vigil service will take place on Saturday, April 20th at 5:00 p.m. and the celebration of Easter will conclude the week on Sunday, April 21st at 9:15 a.m.
Community of Joy Lutheran Church is located at 110 Balboa Rd in Hot Springs Village. Call 501-915-9569 or visit www.community-of-joy.org for further information. All are welcome to join us for fellowship, soup and to hear God's word as we celebrate this season of Lent.